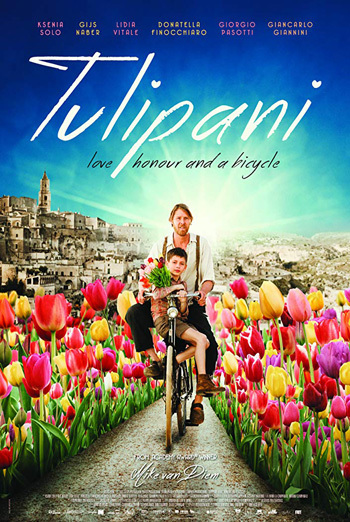 Tulipani is a Canadian/Italian/Dutch co-production about a young woman who travels from Montreal to Puglia, Italy to return her mother’s ashes to the homeland. The fantastical tale is bursting with humour, colour, romance and teeming with charming performances — including Oscar™ Nominee Giancarlo Giannini. Consumer Advice:(BC) Sexually suggestive scenes, sexual violence. (MB) Sexually suggestive scenes, sexual violence. (ON) Sexual content, violence, subtitled.